AMAIA Skies Cubao is located at EDSA corner P. Tuazon, Barangay Socorro, Cubao, Quezon City. It is accessible to major thoroughfares like EDSA and public transport system. Immediate establishments in the area include SM Hypermarket and the Araneta Center. Also within the vicinity of Quezon City, are Ortigas, Greenhills and various places of worship, hospitals and schools. The entire land area is about 1 hectare. 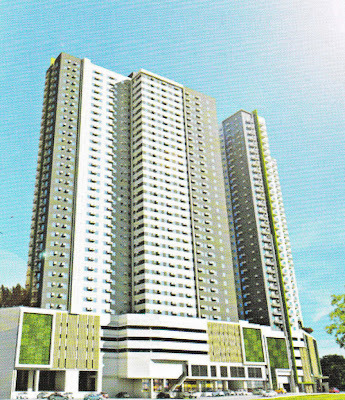 At AMAIA Skies Cubao Tower 2 your friends can enjoy the thoughtfully-designated amenities at the podium level. Go for a relaxing lap in the pool, take a stroll along the breathtaking landscaped gardens, or hold a private party at the multi-purpose hall for a truly dynamic living experience. Composed of only 8 units beautiful minimalist design of 3 storey town homes with 3 bedrooms,3 toilet and bath,2 car garage and a maid's quarter. A less than 15 minutes drive to Ateneo, UP, and Miriam College in Katipunan Avenue. Located in Quezon City very near Batasan Pambansa Complex and Sandigan Bayan in Commonwealth Avenue.